Home » Marketing, My Book	» Imagical Seasons Books Pre-Order Now! 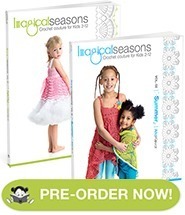 Imagical Seasons Books Pre-Order Now! YAY, it’s a Day! ;o) Pre-Orders for Imagical Seasons Spring and Summer books are started and available at ImagicalSeasons.com and Etsy! Only little more time to wait, just less than a month and in the middle of July I will get printed books delivered and your signed book(s) will be shipped to you right away! get 10% off + Free Shipping (US and Canada)* + Free Tax (US)*. get 20% off + Free Tax (US). get 15% off + Free Shipping (US and Canada)* + Free Tax (US)*. * US and Canada Pre-Order sales come with Price discount, Free Tax and Free Shipping. International Pre-Orders sales come with Price Discount, Free Tax and $5 discount for shipping. Shipping cost is defaulted to $15 ($20 minus $5 discount) and real shipping cost will be calculated for each international order; left-over money, if any, will be returned back to the customer on the day of shipping. A wonderful and lovely week to you all! 3 Responses to Imagical Seasons Books Pre-Order Now! Hoping to pre-order on Friday when get paid.